When they’re young, and when every minute, hour, month, and day matters, all the firsts do too. You count them, you write them down, and you marvel over them. Until-at least for me they get about 16 months. I still marveled at firsts, but it wasn’t the same. They weren’t huge firsts, and well, after over a year counting, snapping, and oohing and awing at just about everything it doesn’t feel the same. You’re/ I was still so very excited, I just did not want to shout it from the roof tops as I did once before. But today was different, hence, why I’m blogging about this. A first professional manicure. Not just for herself, but for the both of us. Together.. just mother and daughter. It was special, so special that at a few moments I felt myself holding back a tear or two. As I sat there beside her with the biggest grin, and probably the most annoying chuckle, all of the memories of her as a baby came rushing to my mind. Memory flash after memory flash rushed into the forefront of my brain; as she grinned proudly, and as I laughed nervously. That time I carried her close to my chest in her pink Moby wrap and trekked through the snow to get a manicure. I remember that. She was still so tiny, so bundled. But at the time, a manicure was all I had that connected me to the real world. Or what I thought was the real world. Having a newborn then, felt like an alternate state, and oh, how a $12 manicure made me feel so good. She nursed, I rocked, and my nails were done. She was safe, sheltered, and had no clue what that meant to her mama. Then there’s that time when we spent an unusually amount of time in our house for a few days. She was 12 months or so. I’m not sure what made us do it. Maybe it was her, off of her schedule. Or me, off of mine. Not feeling quite balanced and needing some days in the comfort of my home, tucked away in Bushwick Brooklyn. Whatever it was, it made me decide that a manicure would be great for me. I packed her in the stroller. A blanket, some snacks, a few toys, and a back up Ergo also came along. A few blocks away, and I already prepared myself to bust out my best singing voice just in case she cried a bit. Nothing was going to get in our way. And nothing did. She didn’t make a peep. She sat there, played, and eventually dosed off. Today, we walked. No stroller, a few snacks, and a lot of talking. Woah, does she talk. This time, we weren’t going for my well being, but for her’s. 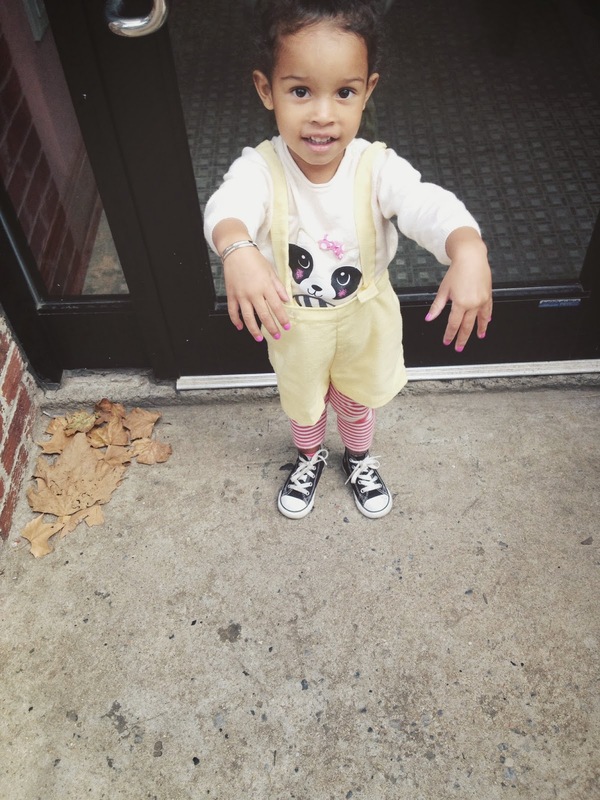 At almost 3, and as a girly girl, she knows what it means and how it feels just to have “pretty” nails. She requests them on a regular. And since she had not requested “new nails” in a while, I thought it was time I offered. But this time, by a professional. 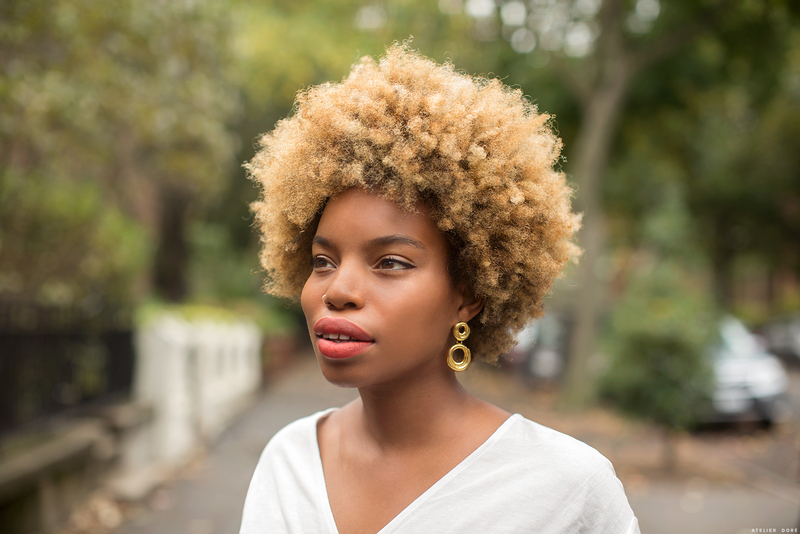 First we walked to the corner, a few old-time men with casual clothes and fancy hats, chuckled, and laughed at how she swayed so profoundly with a letter in her hand. She did her usual nod of hi, then as we passed them, her usual late wave of hi. “A letter to post man!” she exclaimed as we crossed the street with the big blue steel box waiting for us. She opened it, she dropped the letter in, and we met with a high five. It was empty, as it usually is on an early Wednesday morning. With some of the sweetest women excited to take on the honors of giving River Mae her first manicure, Amy won, by River’s choice of course. We pick out a color. The deepest darkest purple is her first choice, and as I ask her for a second choice she excitedly yells “PURPLE!” and points to lighter shade. Good enough. Not too dark for her sometimes over protective papa, but purple enough for her not to be disappointed by the shade. She sits. I sit. I hold back tears, and she sits up so proudly. With the smell of jasmine rice, and some-kind of delicious soup in the air, the process begins. She, no longer a baby, and I a teary eyed, lumpy throat mama. Amy paints one finger and then moves on to the next. River in the black leather seated chair that is far too big for her, glances over at her mama from time to time. Unaware of how humbling and nostalgic this process is for me. I want her to remember this day, but like the others before, I doubt she will. So I snap a few photos, while reminding her to stay still. In fear that a tear will actually break through, and show itself to my sensitive girl, I turn away from time to time. She doesn’t quite understand the difference from happy and sad tears yet. And to speak honestly, I’m not sure if I know which tears want to show themselves. For in this moment, there are parts of me that are completely and utterly happy that we are doing this, that I am here for this special moment in her life, that we even have enough funds to do this. And in this moment I am sad. Ridiculously sad. The other moments are memories, and I’m not sure how they became such. Time has passed me by. We’ve enjoyed every minute of it, but still..it’s gone way too fast. In a blink of an eye. 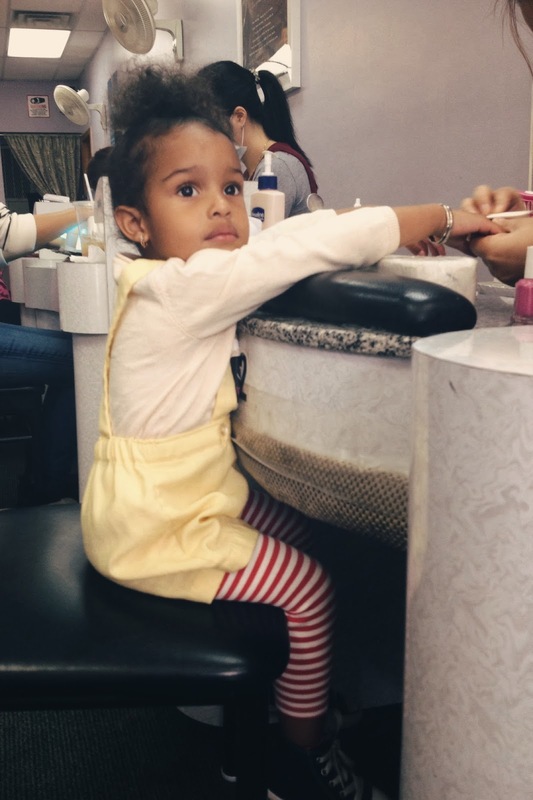 Now sits my big girl, getting her first professional manicure, and my heart melts in so many ways, and my eyes water in so many ways, and my mother instincts want to wrap her up to be my baby forever. I love you River Mae! My sweet, very talkative big girl. I hope you lover your new nails. You tell amazing stories. And you live a blessed life. This brought the biggest smile to my face! First time's are such a big deal with your children. I think it's so cute you both went together! this post really tugged on my heartstrings. 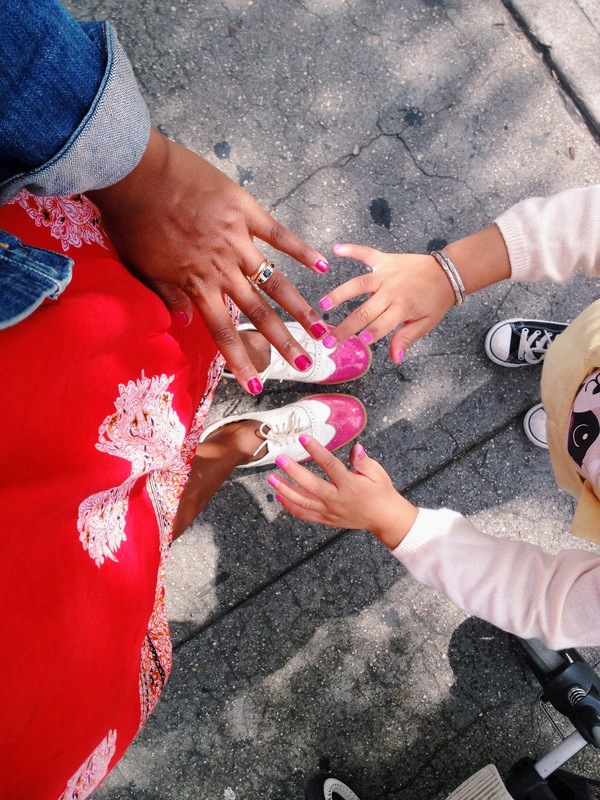 of the inevitable 100s of manicures your little girl will have in her lifetime, she'll always remember the first time she got her nails done with her mommy by her side.